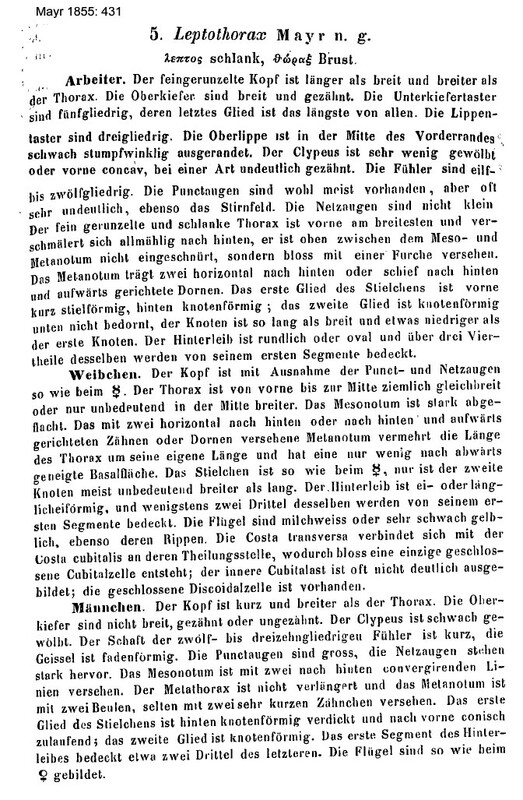 NOTE - the former single genus Leptothorax Mayr has been reorganised by Bolton (2003: 270 ff) from one Genus Leptothorax into three Genera Leptothorax Mayr, Nesomyrmex Wheeler and Temnothorax Mayr. 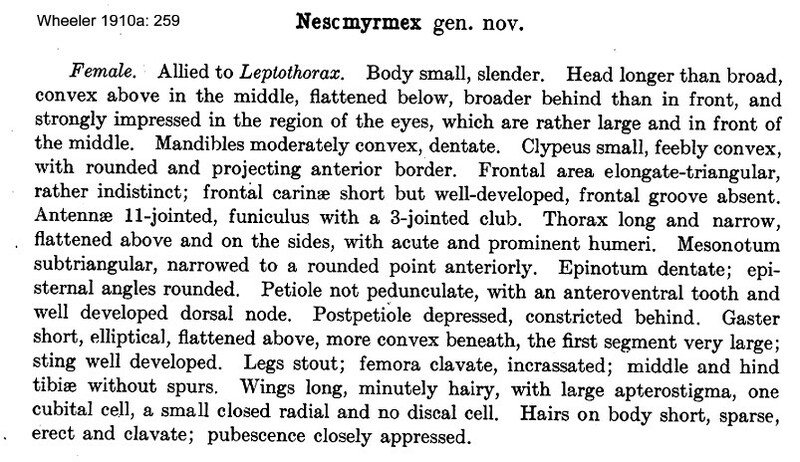 Mayr's (1855) definition of Leptothorax is at . Genus definition Wheeler (1910a: 259), revived status Bolton (2003: 249); Wheeler's definition, based on a queen, is at . 11, Grazingfield, Wilford, Nottingham, NG11 7FN, U.K.